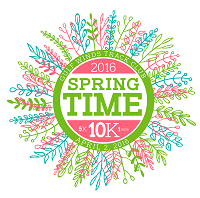 The 41st Annual Springtime 10K will be held on April 2, 2016. The 10K/5K races are on USATF certified courses, beginning on Monroe St. in downtown Tallahassee in front of the Leon County Courthouse and covering rolling hills through the beautiful Myers Park neighborhood before ending next to Cascades Park. The 1 mile race will begin at 7:45 a.m., followed by the 10K and 5K races starting at 8:10 a.m. For more information please visit www.springtime10k.com. Contact Race Directors Sean or Amanda Hudson at springtime10k@gmail.com. 8:10 a.m. - Spingtime 10K/5K start - South Monroe St.